I am feeling incredibly blessed this festive season. Our house may be full of coughing and spluttering thanks to a cold we both have, it may be cold outside and it may be getting dark ridiculously early, but I am still extremely grateful for all that we have. Not just material possessions, but also time we have together, family, experiences and so much more. 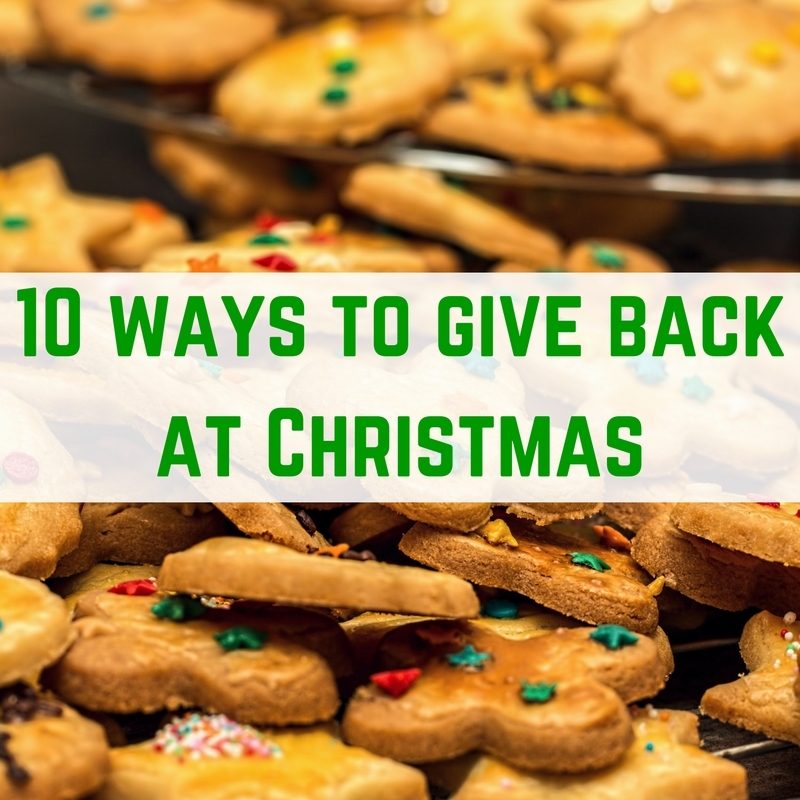 It has got me thinking about ways to “give back” at Christmas. There are so many things that we can do, and if finances are tight, many don't include spending a penny. 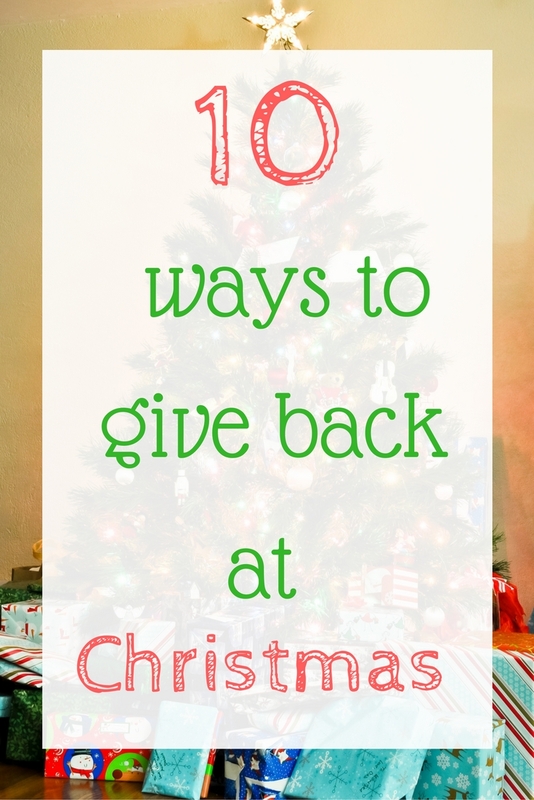 Here are 10 different ways to give back at Christmas time. 1. Give your time. It doesn't cost you anything, and there is so much that you can do. You can ring a loved one, volunteer somewhere or even help take someone's shopping to their car. 2. Make extra – when you are baking your Christmas cake, mince pies or any other festive treats, you can make extra and give them to someone in need, such as an elderly neighbour. 3. If you have been making some extra money this year, why not donate some of your earnings to charity. Qmee allows you to do this when requesting your earnings. 4. Buy a charity gift. Oxfam Unwrapped offer some great gifts to suit any budget. You can get some chickens for £5, train a beekeeper for £12 and build a toilet for £42. These gifts are great as stocking fillers or for someone who already has everything. 5. The Hunger Site allows you to donate daily, free of charge, just by clicking on the website. Since 1999, visitors at The Hunger Site and shoppers at The Hunger Site store have given more than 856 million cups of food. 6. Food banks are such an important part of our communities these days. They help those who are under the poverty line, ensuring that they have access to food. The Trussell Trust have a list of items that are needed for their food banks. If you are able to add a couple of things into your grocery shop and donate them, they will be extremely grateful. If you cannot afford to purchase extra, perhaps you have something in your cupboard that is new, still in date but just not liked by anyone in your household and that can be donated. 7. Invite someone over – it doesn't necessarily have to be for Christmas day, but you can invite someone to join you for a meal, or a coffee and a chat. Loneliness, especially over Christmas is awful and get so easy to help with. 8. Donate to charity instead of sending Christmas cards. 9. Find your local Christmas toy drive and donate. Whilst Christmas is not just about gifts, imagine how you would feel as a child if you went without at Christmas time. If your budget allows it, why not purchase a toy to donate to your local toy drive? You can search the internet for your local toy drive and find where to leave your toys. 10. Smile and be polite! Christmas can be an extremely busy time and make people quite sad. I was in Sainsbury's the other day and looked around – just one person was smiling. Bumping, barging and rude comments under the breath were everywhere. Everyone else was looking pretty miserable. I am very guilty of being rude to people who bump in to me in the Christmas rush, so I definitely need to take this one board.